During my wanderings as a yachting and travel writer, sunglasses are as much an occupational necessity as they are the requisite expression of what my wife says is my “unique” sense of fashion. And while I’m much more of a “dreamer” than a “scientist,” I see the reports of vast areas in our oceans literally filling up with plastic and worry that my 4-year-old won’t be able to experience the same pristine coastal beauty that I’ve been so lucky to enjoy. And no, I don’t have any answers. But, I have run across some pretty turned-on people lately who not only have the courage and smarts to take on some of the world’s biggest environmental problems, they also have the business skills to make helping the environment be good for business. And maybe most importantly, they’re doing innovative stuff that could actually help move the needle (maybe just a little) on the big environmental problems we (and our kids) face in new ways that might just make helping the environment be cool. 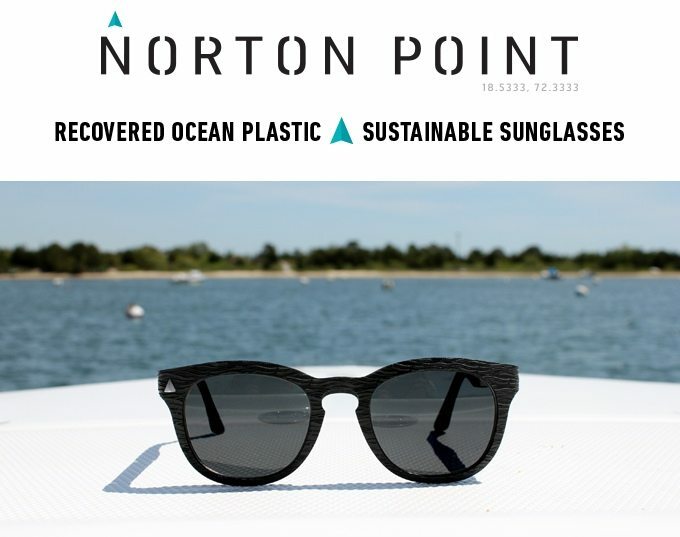 Take Martha’s Vineyard-based sustainable sunglasses manufacturer Norton Point for instance. They don’t just manufacture stylish sunglasses. Although, they do make sunglasses, and they are pretty cool—for a bunch of reasons that go way beyond style. I say this is because Norton Point has recently launched an entire line of sunglasses they hope can start the hard job of mitigating the effects of the over 8 Million Metric Tons of plastic that ends up the world’s oceans every year—in addition to being stylish sunglasses that people want to buy. The company was formed by two friends on the Vineyard (one with experience in eyewear and the other in social impact) who started with a big idea and what seemed like a simple concept. “Let’s make sunglasses out of recovered ocean plastic.” In short, their goal was to somehow make “sustainable sunglasses” that people want to buy in addition to helping the environment and communities in developing countries too. As you’d expect, getting started on such a big goal wasn’t easy. 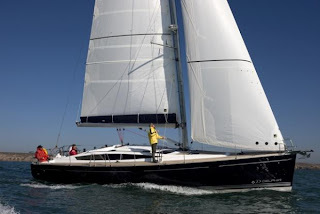 But they had the right work and life experiences to navigate the various obstacles and attract key partners that would help them collect the ocean plastic in ways that would have maximum benefit for the planet and communities in developing countries, while also contracting with frame manufacturers that could turn theor recovered ocean plastic into sunglass frames. 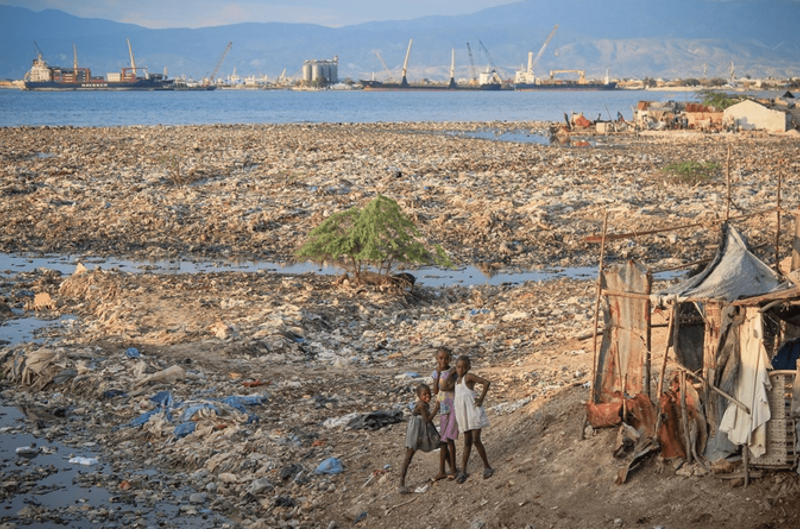 They started by travelling to Haiti to meet with the members of the Plastic Bank so they figure out how they could collect and use ocean plastic in ways that would help everyone. And the deal they struck seems to be working. The Plastic Bank pays collectors in local communities a living wage to help reduce plastic waste. Norton Point pays for the plastic they collect to make the frames. And everyone who buys a pair is helping, in small, but very important ways to clean up our oceans, help people in developing countries, and hopefully, begin to change the way we all look at business models, our planet, and each other.